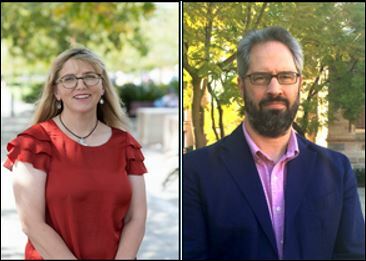 Congratulations to Professor Melissa de Zwart, Dean of Law, and Professor Paul Babie, for their election to the Australian Academy of Law (AAL). The AAL comprises individuals of exceptional distinction in the discipline of law who are committed to its advancement and to justice according to law in Australia. Professors de Zwart and Babie join Emerita Professor Rosemary Owens AO, Emeritus Professors Adrian Bradbrook and Horst Lucke, and Professors Ngaire Naffine, Andrew Stewart, and John Williams as Fellows from the Adelaide Law School. The AAL’s Fellows are drawn from all parts of the legal community, including academia, the practising profession (including private and public sectors), and the judiciary. The Academy provides a forum for cooperation, collaboration, constructive debate and exchange of views which serves as a “bridge” that links the judiciary, academia and the practising profession through shared values and objectives. The Academy has 35 Foundation Fellows, and at August 2017 it had 310 Fellows, 6 Life Fellows and 12 Overseas Fellows. This entry was posted in Events, News and tagged Associate Professor Melissa deZwart, Australian Academy of Law, Professor Paul Babie. Bookmark the permalink.